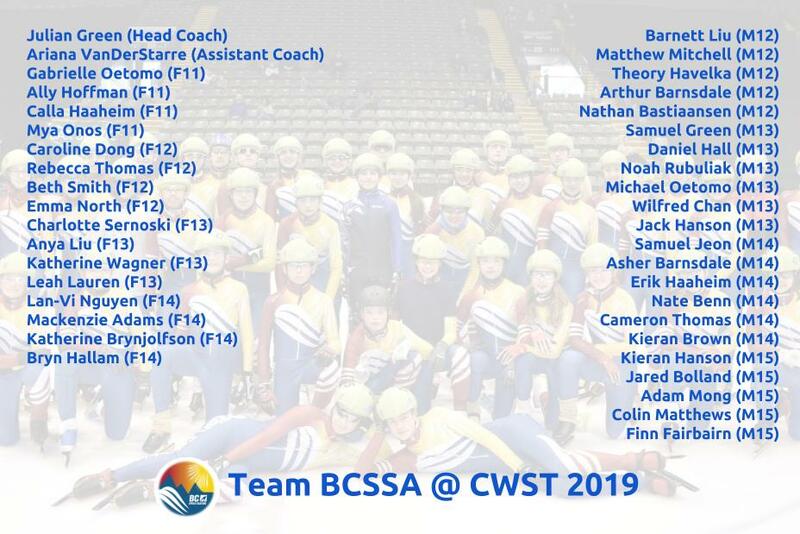 Congratulations to the skaters who have qualified for Team BCSSA @ CWST, based on their performance at BC ST Championship this past weekend in Prince George! Skaters will compete at the Canada West ST Championship in Grand Prairie, Alberta, on March 23-24, 2019. Qualified skaters will receive an email with further details regarding registration and Team BCSSA logistics. The British Columbia Speed Skating Association gratefully acknowledges the financial support of the Province of British Columbia.